To prepare the marinade, in small bowl, combine the tamari, garlic powder, optional liquid smoke and freshly–ground black pepper. 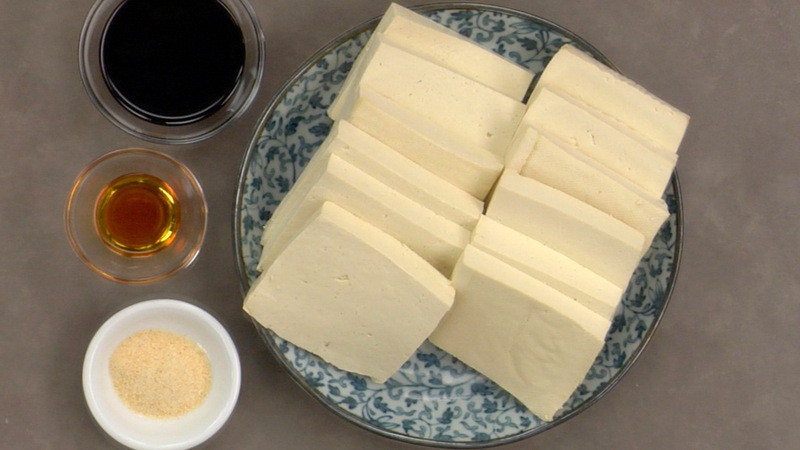 Place the tofu in a shallow casserole dish and pour the marinade over the tofu. Allow to marinate for 10 to 20 minutes. 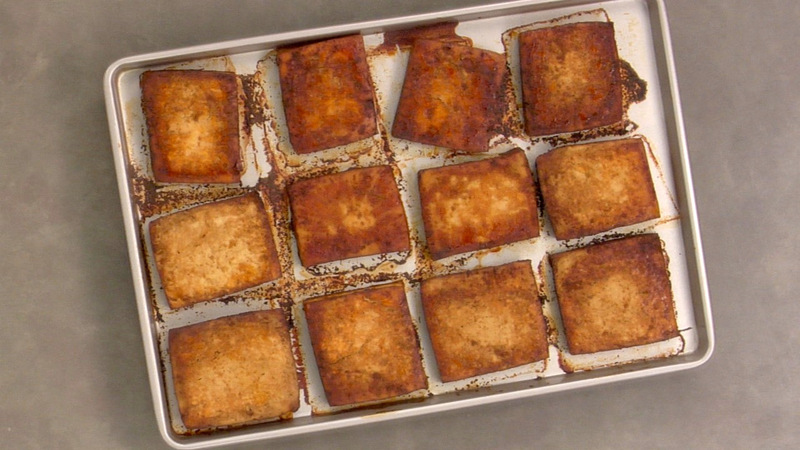 First, lightly spray a sheet pan with oil and layout tofu slabs evenly on the tray. Place the tray in the oven and bake for 15 minutes. Flip, and cook another 10 to 15 minutes until the tofu is browned around the edges. Remove, let cool and store covered in the refrigerator to be used in other recipes. 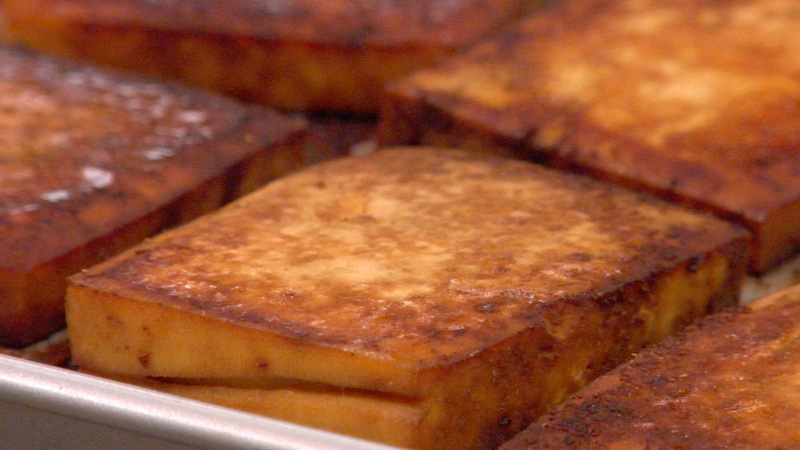 This tofu goes well on sandwiches, in soups, or as part of a main meal. It also works as the base for this delicious Sweet & Sour Tofu. Awesome! We ate almost all of it right away!!!! Loooov'n this just wrapped in butter lettuce, as a quick snack ~ I am now officially a fan of tofu! Adaire, this preparation is so easy and versatile that many people are drawn to the 'canvas' that tofu provides through this recipe. Great to hear that you enjoyed it! I've been making this regularly, I love the umami flavors of the marinade. I like to dice it up and put it in a lettuce cup with pineapple, hot sauce, and cilantro. So yummy! I just wanted to say... This recipe is sooooo easy and delicious ~ ~ I've kicked it up a notch by adding a touch sesame seed oil. I'm still loooov'n this recipe and make it alllllllthe time ~ one would not believe that I am not a lover of tofu, but.... this way rocks!